Seriously, it made all the difference in the different textures of color options. The lighting of the photography may be inconsistent with the actual material color. I did not know they would automatically include them in the shipment since it only suggests they are available. Otherwise, this helped me make my decision on which color to order for my bridesmaids' dresses. The quality that you get for the price, top notch. These look like something you would pay $200+ for from a bridal store. 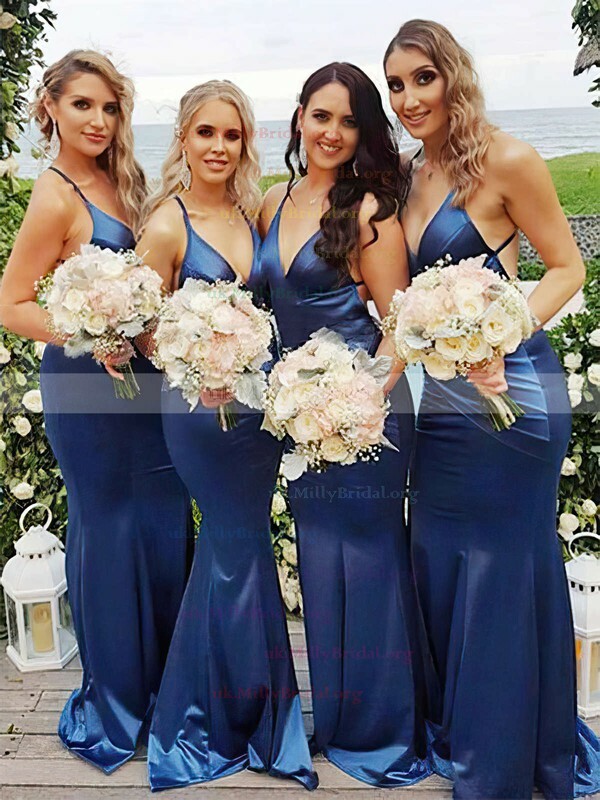 They fit each bridesmaid perfectly, as they are each hand sewn from the measurements provided. No alterations needed! The bridesmaids adore these dresses. Thank you so much for a quality product at a great price. This dress is so simple but beautifully made. My sister, who will be my Matron of Honor, will be wearing this dress. We may add a beaded belt to it to make her look/ feel a bit more special but this dress is gorgeous on its' own. 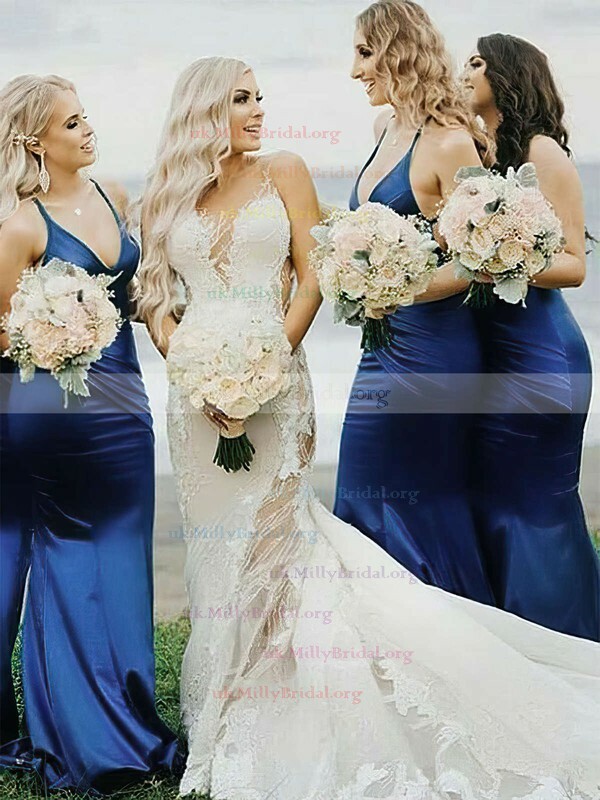 The quality of the dress is higher than what you would get ordering bridesmaid dresses from a salon and the price is so much more affordable! I would definitely order from MillyBridal again! Very happy with the style of this dress. We ordered four for a wedding and did it two shipments. They were both shipped in a timely manor. Color was perfect for us and we are very happy with the dress. When I told MillyBridal about my upcoming wedding, not only did they rush my order but they also sent me the most beautiful dress I have ever worn. My wedding day was incredible and everyone commented on how gorgeous my dress was. 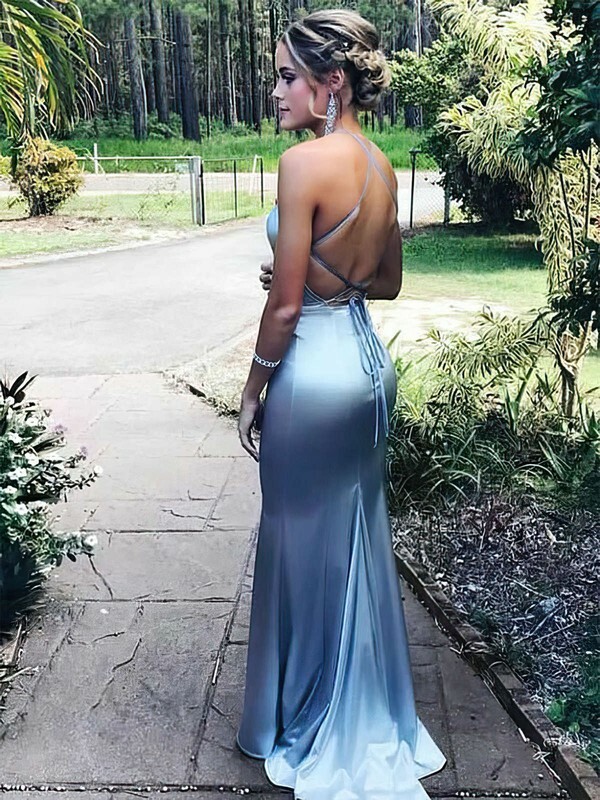 I will definitely buy from here again as well as recommend them to anyone I know needing a dress. Thank you a million times over for helping make my wedding day special and memorable. I really liked the dress. The clor is rich and beautiful and I love the style. I wear a size 12 which is what I ordered but it does seem to run a bit small. It fits a little snug compared to other size 12 items I have purchased. But I can get by with it so that's why I gave it a 4 instead of 5. I do think it is very pretty though. I am in love with theses dresses! Comfortable, classy, and perfect for my bridesmaids. I'm excited too that this is a dress that can be worn different ways and that my girls can wear this dress after my wedding too. I have started shopping at MillyBridal about a month ago and so far it has been a great experience. This dress is great. It fits me well and I looks amazing on it. It is a perfect bridesmaid dress. Can be dressed up and down. I have just placed a new order a couple day ago. I would highly recommend this store to everybody. The color is a little different from the pictures. 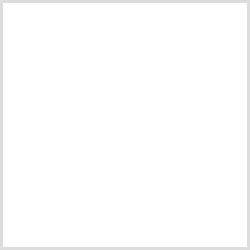 Anyway, the color is also a rich and gorgeous color. The dress is true to size and it fits me flattering. The only change I would have made was to cut some of the hem off, it is long for me.